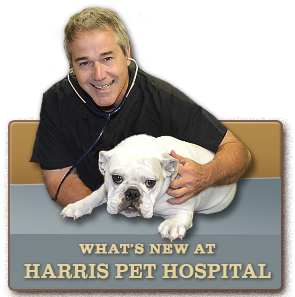 • Ability to manage pets' health schedules, view upcoming appointments, or follow up on healthcare recommendations. • 24/7 access to the required medical records needed for boarding, traveling, enrolling in classes, or in an emergency. • Email alert reminders can be set up for a product or medication doses. eAlerts helps you manage the number of doses remaining and the days between doses. 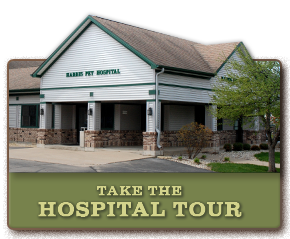 • Request appointments, make boarding reservations, refill medications, or ask general questions. 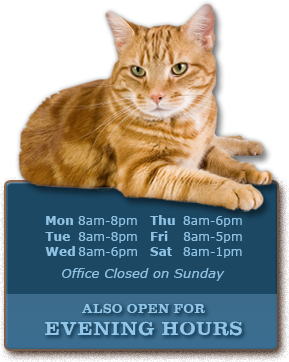 eClinic is available 24/7, which makes communication with your clinic convenient and easy. • Now you can also read Pet Health Articles, view Pet Health Videos, read Breed Information and view an Interactive Animal. You can use your ePetRecords Serial # or just use your email to take advantage of this online feature. If we do not have your email address in our system, please email us at hph@harrispethospital.com so we can get your email address in our system.